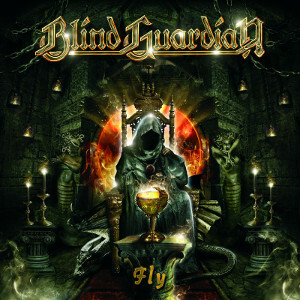 Fly was very awaited by the fans, as it's the first CD of Blind Guardian with the new drummer, Frederik Ehmke. It was a great news as Frederik was very good integrated in the band, and he also plays whistle on this single! Two of the three tracks are extracted from the album A Twist In The Myth (Fly and Skalds And Shadows in an acoustic version). In A Gadda Da Vida is a cover of the Iron Butterly's song, the original is longer than the Blind Guardian's cover (17 minutes).